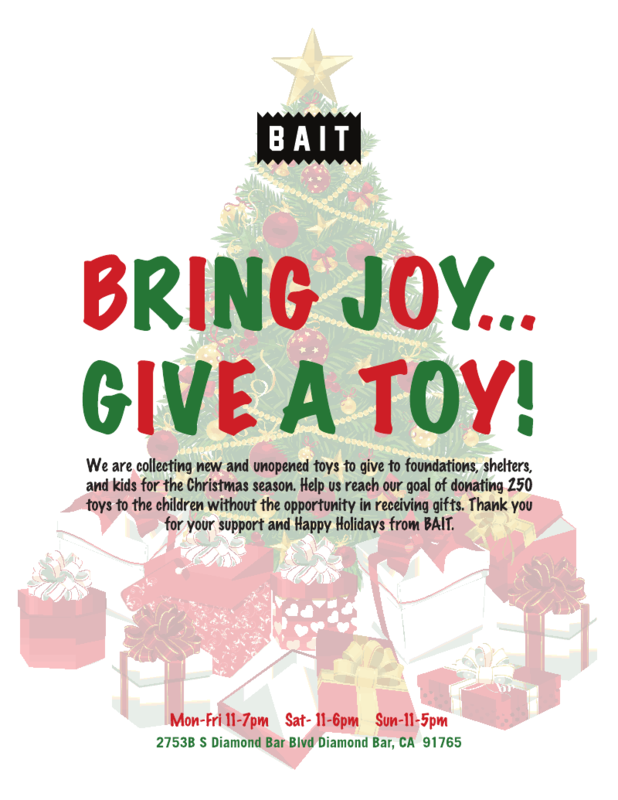 Every child needs a toy this time of the year, which is why BAIT is holding a toy drive at our flagship store in Diamond Bar, CA. We’ve set a goal to collect 250 toys to donate by the 22nd of December which we think is a doable number with a little support from our friends, family and community. All we ask is that you bring in a New Unwrapped toy valued at $10 or more. As a thank you for your donation, everyone who brings in a toy will receive a 10% coupon for their next purchase at BAIT. Help us bring a smile to a child’s face this season.